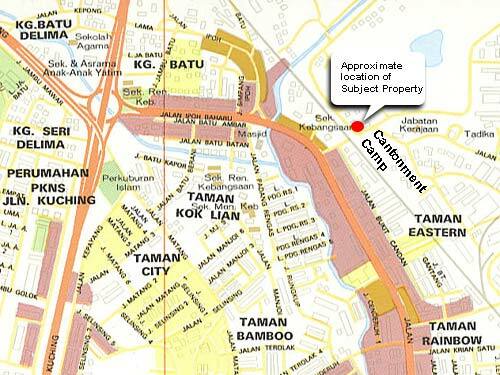 The subject property is located off Batu 5 of Jalan Ipoh. It is triangular in shape and is flanked by two roads. This road connects Jalan Ipoh to the Giant Hypermarket in Sri Gombak.